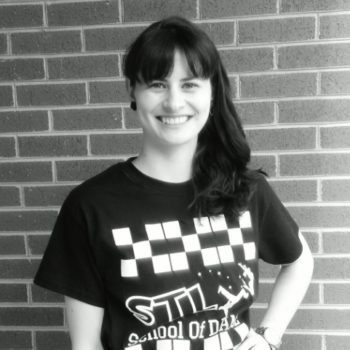 Hali Wallace is a passionate educator and dance choreographer in the metropolitan area. After starting her first dance training at the age of 15 at StarBound Dance Center, Hali knew she had found the right passion to pursue. 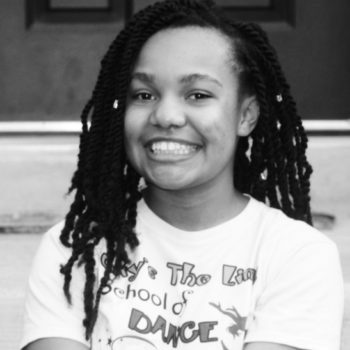 From then on, she began to study and learn techniques in Ballet, Jazz, Hip-Hop, and Modern dance at other local Maryland dance studios. She was also a member of the 2006-2007 Dance Show Troupe for Huntington Community Center. Currently, Hali resides in Prince George’s County, MD and teaches in the Montgomery County and Prince Georges Public Schools. Hobbies: Reading, exercising, mentoring & inspiring others to establish their vision! Ksahay Williams is a dancer and model with goals of expanding into acting and television production. She began dancing at the age of 5 and has studied Tap, Modern, African, Jazz and Hip Hop. She has danced with Marcellus Dance studio in Capitol Heights, Maryland where she was a member of the Company. Ksahay attended Medgar Evers College in Brooklyn New York where she studied Mass Communications with a minor in Dance. While at Medgar she was the dance team president for 2 years. 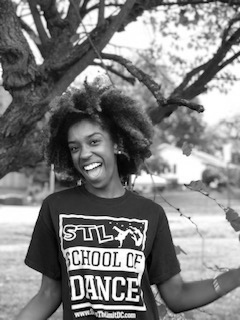 Through the department chair at Medgar, she was able to attend The World Championship of Performing Arts where she won a one-year long scholarship to study at Millennium Dance Complex in Los Angeles, California. She also danced with Bloodline Dance Theater, a company based in Brooklyn for 3 years. She taught at David A. Boody Jr High School (I.S 228 ) through a program called New York Junior Tennis and Learning for 2 years. NYJTL is an afterschool program that fosters young minds through sports and the arts. While with NYJTL she was the Activity Specialist for all dance, along with fashion and theater. Her ultimate goal is to own a full service production company, producing television, film, and stage plays, with a focus on giving back to our communities by teaching elementary, middle and high school children these skills. Hobbies: Dance, reading and filming! Saige Colbert is a Performance Consultant who enhances stage performers through movement coaching. She fully produced, funded choreographed and co directed, “Needed Me by D4ME” and is in pre-production, producing a feature film, “Writer’s Block”. Recently, Saige has been selected in Mayor Muriel Bower’s creative program, 202 Creates. Saige has appeared in several film, television and modeling productions while being a fully present mother to her son, Apollo. She has been seen in viral YouTube videos, and walking the hair show in Atlanta. Saige’s ability to embody almost any character or position on stage, is due to the training she received from her father at a young age. Him reading plays like “Othello” and “Sizwe Banzi is Dead” as bedtime stories, are pivotal in her performance today. During her journey of obtaining her Bachelors, she arranged music, choreographed and created dynamic shows for the Symphony of Soul Marching Band. 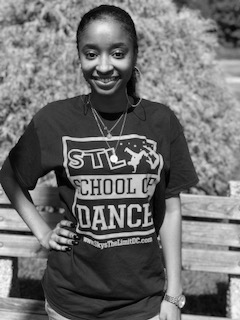 As a dancer, she has performed at the Howard Theatre with local artist, Patrice Live. She honed her training in Atlanta, Georgia, vigorously studying artist development from Ian Burke and Infinite Movement Talent out of Ikon Studios. Now residing in Washington, D.C., she continues to develop stage performers through her company, Developme4me Elite Performance Consulting. She is set to add a service of development to her company now that she is obtaining her Food and Hospitality license from The University of D.C.. Saige Colbert believes she is here to serve artists and stage performers. She will continue to train, model, produce and be an example for those who may not know how to perform. Produced creative and dynamic short films and still manages to showcase her hair. 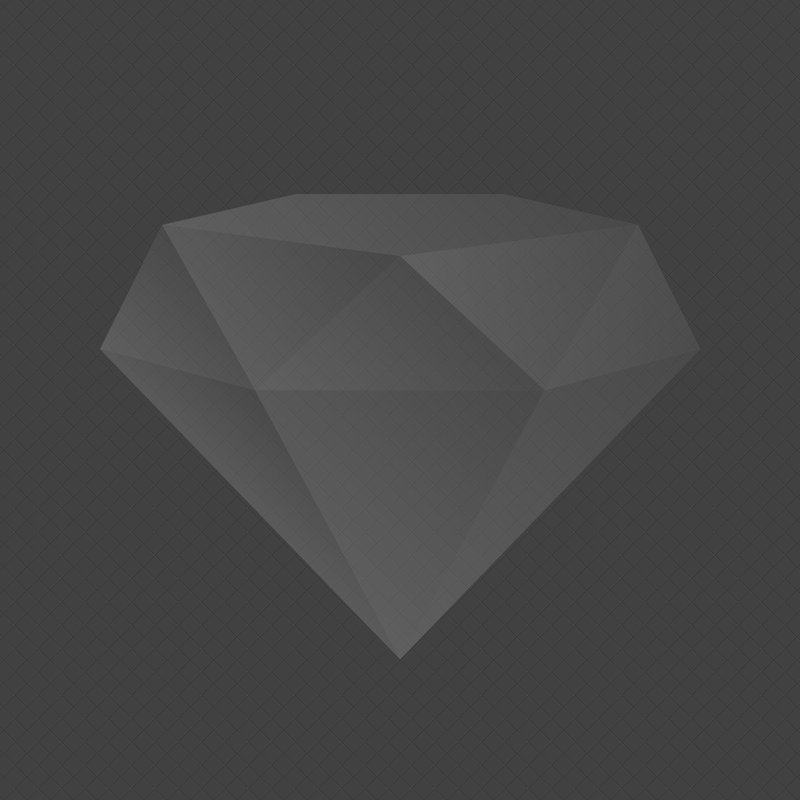 Some of her work can be found by on her companies YouTube channel, Developme4me. Hobbies: Video editing, Watching TCM (Turner Classic Movies) from 1930 to 1960’s and doing natural hair or my own! Taylor Forbes a nineteen-year-old sophomore at Bowie State University and is currently studying Psychology and Criminal Justice. She has been dancing since the age of five in styles of hip-hop, jazz, ballet, modern, poms, musical theater and contemporary. 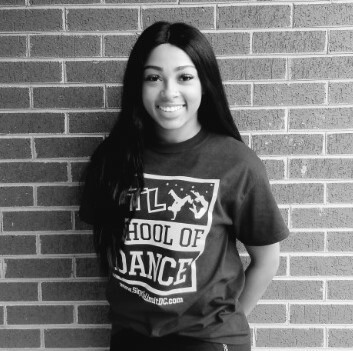 She attended Albert Einstein High School and was a member of both the Poms competition team and Dance Company. There is no doubt teaching dance is Taylor’s passion. She has trained not only in a variety of dance techniques and styles but, in choreography. She has choreographed for both the children and adults, but teaching. She has been teaching dance since the age of sixteen at Lowell School summer camp. She is the lead choreographer in the musical theater department for the summer stage productions. 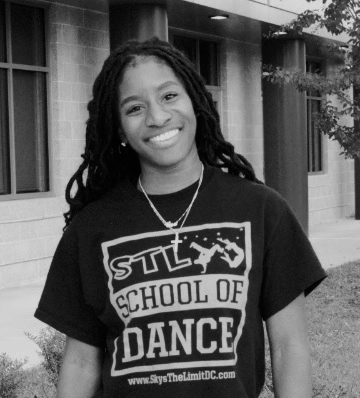 All of her students know that she values dance as a form of art, expression, and creativity. Taylor provides a safe space for all her dancers to step outside of their comfort zone and to help grow their skills in dance. 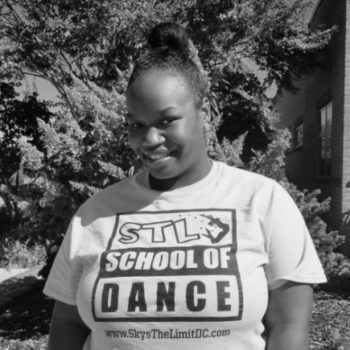 Myra Gerald is from Washington DC and has been dancing since the age of 7! Her unique hip hop style comes from the creative DC street style. Her high energy dancing and skills has been recognized throughout the DMV and showcased on her very popular YouTube channel. 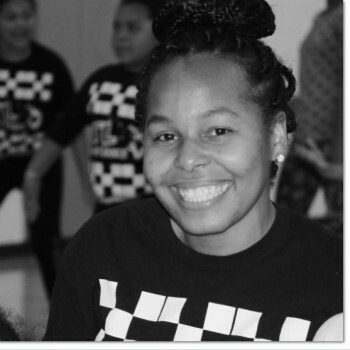 She began to teach in 2012 where she has taught Hip Hop, Jazz, Step, and African throughout schools, local studios and churches. Performances include World of Dance, BET, SXSW music festival, and the Lets Dance Tour. Myra believes dance allows you to be free in whoever you want to be. Hobbies: Music, Movies & Art!